Épix Drive 2000 IP is IP65 for indoor or outdoor events, and hosts the processing and power supply for the Épix Tour system. It supports 20 Épix Strip IPs, 36 Épix Strip Tours or 12 Épix Bar Tours, or any combination of the three, with a maximum capacity of 2000 LEDs. 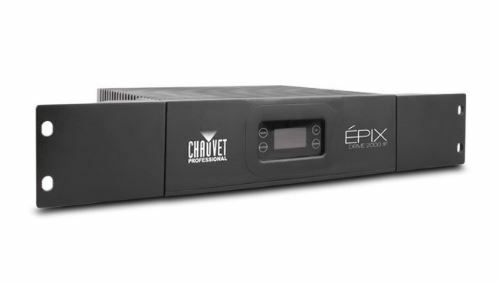 Épix Drive 2000 IP supports Art-Net, Kling-Net, and sACN, giving you a variety of control options . Thanks to an integrated web server, you can remotely diagnose, troubleshoot, and change settings as needed without having to directly access the Épix lights. Using the new 17 operating mode you can quickly and easily configure and program shows in minutes with minimal time/effort to create stunning looks.